“Look forwd to his expert guidance. “@otvnews: GC Pati to be formally named as new Ch Secy of #Odisha tmrw. Centre approves his repatriation”. 1. An MSc in physics, Pati served 13 years in agriculture and rural development ministries at the Centre and the state. 2. Between 2006 and 2013, Pati became joint secretary, additional secretary, special secretary and then secretary in the same union government ministry --- agriculture. 3. He is an MBA from University of Wollongong, Australia. 4. 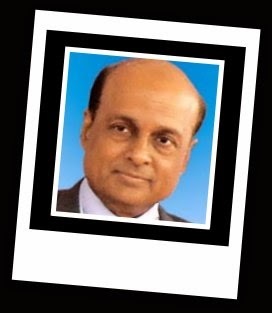 In between his administrative innings, Pati completed a number of short-training programmes with subjects as varied as organizational behaviour, WTO, international trade, MS office and internet application. 5. In late 1980s, he was the district magistrate of Odisha’s Mayurbhanj district. 6. In Odisha, he handled departments such as technical education, commercial taxes, rural development and industries. 7. Pati has been very active in matters to Indian civil services. On the Civil Services Day (April 21) in 2012, Pati moderated an interesting discussion on whether or not lateral entry be allowed to top Indian bureaucracy. 8. Pati’s prominent batch-mates include home secretary Anil Goswami, finance secretary Arvind Mayaram, expenditure secretary RP Watal, petroleum secretary Saurabh Chandra, road transport secretary V Chibber, coal secretary SK Srivastava and health secretary Lov Verma, to name a few. 9. UP chief secretary Alok Ranjan, Rajasthan chief secretary Rajiv Mehrishi and Karnataka chief secretary Kaushik Mukerjee --- all are Pati’s batch-mates. 10. Pati retires in November 2015.